Your dog is probably the one who loves you more than anyone else in the world. There’s simply no creature more loyal or reliable out there. Who else follows you everywhere, literally jumps for joy when you come home, and simply loves you for you who are? Take a look at the following photographs, and we guarantee that if you haven’t already got a dog, you’ll definitely want to go out and get one! 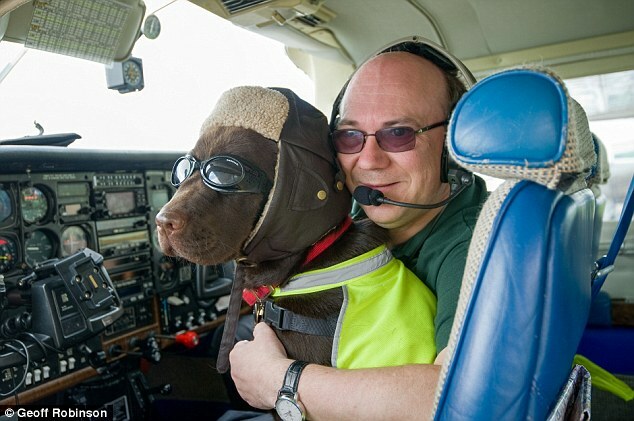 This dog, called Kelly, has an official license to fly a plane as a co-pilot. Her owner, Graham, first took her up in a plane when she was three months old. She’s been flying ever since. This man was left with nothing except his dog when his wife left him. His four-legged friend has helped immensely to keep his spirits up, inspiring him to take a series of hilarious photos of his pet. 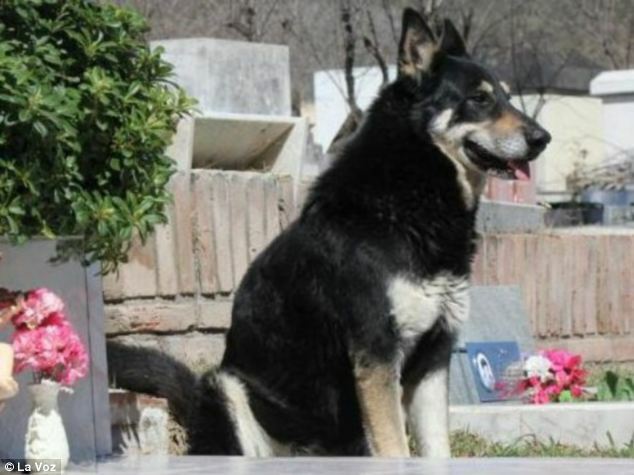 This dog’s owner passed away in 2006. Straight afterwards, the dog escaped and headed for the cemetery where he was buried. She’s refused to leave his graveside ever since. 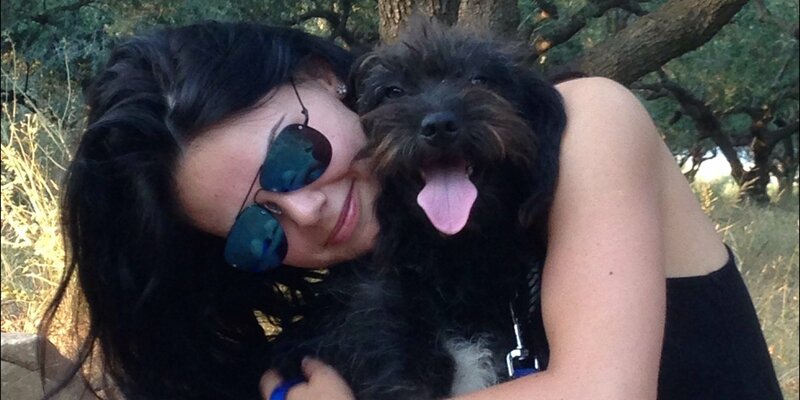 This stray dog saved Georgia Bradley when she was attacked. Six days after she took the dog home, it gave birth to six puppies. Two years ago, photographer John Stortz took this snow-white dog home from a shelter. Since that day they’ve become inseparable, and the dog — who goes by the name of Wolf — features in most of John’s photo shoots. This little boy called Dylan and Farley the dog were born on the same day. Now, they think they’re brothers. If Dylan starts to cry, Farley licks his neck to make him laugh. 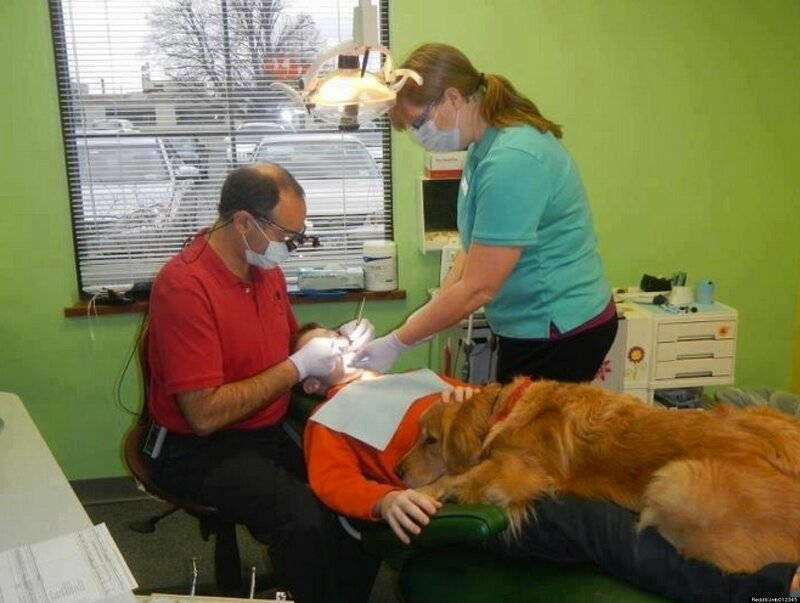 This golden retriever called Brook helps kids cope with the fear they get from visiting the dentist. When Theron Humphrey first saw this dog in a shelter, he said to himself that he couldn’t leave her there. Now, they’ve already travelled through every state in the USA together. This dog helps children deal with the stress of appearing in court. She helps them find the courage to tell the truth and not block out the experiences they’ve been through. 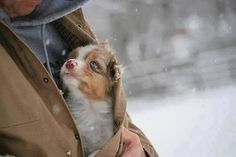 This is the way dogs are made: they love us unconditionally, try their best to keep us safe, and don’t expect anything in return. Friendship and loyalty for them are golden. Doctor Mike is now famous as one of the most attractive doctors the internet has ever seen. But something tells us he couldn’t have achieved his fame without the help of his beloved husky dog, Roxy. It’s always great to have someone ready to help you at work. Kelly Lund always takes his dog Loki with him when travels around the world. And she is clearly very happy to come along! This dog, called Poh, has a terminal disease. Her owner Neal Rodriguez decided to take her on an adventure to make sure her final months were spent in joy. Mallory Paige travelled through Alaska on a motorcycle. Her best friend on the trip was her dog Baylor. This elderly dog is called Chester. He was taken home from a shelter despite having just a few days to live. His family wanted him to feel happiness and love before he passed away. A photo which represents thousands of people’s experiences: despite living on the street, this dog refused to abandon its owner. Dave Meinert saved this dog from bad owners when it was still a puppy. It’s not certain how long it will live for, so Dave takes a photograph of them together every day. Dave is thankful that they can be together right now. This dog is scared by the sirens of fire trucks. And it’s obvious who she turns to when she’s worried.